You may not know him by his name – but most likely you would have enjoyed his product ................ Alfonso John Romero is a director, designer, programmer, and developer in the video game industry. He is best known as the creator of Daikatana as well as a co-founder of id Software ~ and we know him for those enchanting games - Wolfenstein 3D, Dangerous Dave, Doom and Quake. Dangerous Dave is a highly popular computer game of Romero made in 1988; developed for the Apple II and DOS......... like many other games, the object of the game is to collect gold cups to move on to the next level. Since the original 1988 publishing of Dangerous Dave, there have been three sequels and three ports of the original. 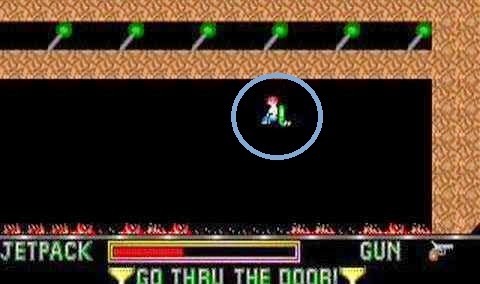 The idea of Dave reportedly was influenced by Super Mario as there are definite similarities like the level design, monsters, jumping and the like. The mission is to guide Dave through ten levels, collecting trophies in the hideout of his enemy, Clyde. Jetpack is not restricted to game Dave ........... Jet pack, rocket belt, rocket pack and similar names are used for various types of devices, usually worn on the back, that are propelled by jets of escaping gases (or in some cases water) to let a single user propel themselves into the air or fly. The concept emerged from science fiction in the 1920s and became popular in the 1960s as the technology became a reality. The most common use of the jetpack has been in extra-vehicular activities for astronauts. 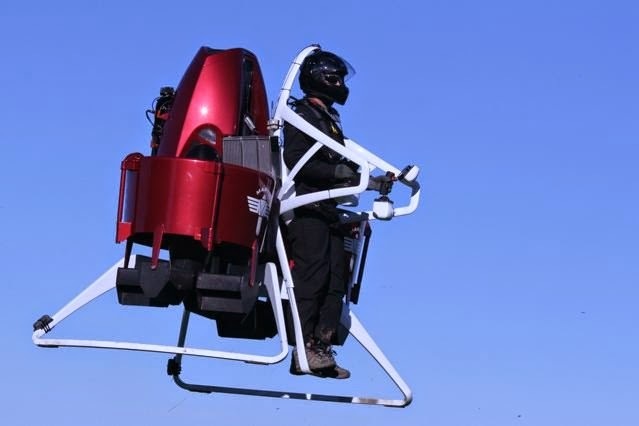 There is news that Martin Aircraft, the New Zealand jetpack maker looking to raise about $20 million through a stock exchange listing, possibly this year. It according to reports could be an extremely high-risk investment but its unique product could drive interest in the company's float, market sources say. Martin Jetpack is an experimental aircraft. Though its tradename uses the phrase "jet pack", the craft uses ducted fans for lift. The Company unveiled it in July 2009 at the Experimental Aircraft Association's 2008 AirVenture in Oshkosh, Wisconsin, US. The jetpack could be available on the market sooner, and is expected to sell for approximately US$150,000. The Christchurch-based firm has flagged listing intentions before, but its latest push at going public is gathering momentum. The company is touting 40 pre-orders for its jetpacks, representing $6 million in sales, and has invited investors and brokers to a pre-initial public offering (IPO) briefing in Sydney. The briefing would cover an update on the IPO and "details about the world's first public manned flight and the resulting global publicity", according to the firm's website. Martin Aircraft has already raised about half of a $5 million pre-IPO funding round from "sophisticated" investors and is looking to raise roughly $20 million more through an IPO. Close to $1 million of the pre-IPO funding would be spent on the production of five showcase jetpacks, according to the offer documents. The company claims it has had more than 100,000 inquiries on its jetpacks, and says it has $42.9 million of potential pipeline orders, including serious inquiries from a Mexican Government agency worth up to $14.6 million, as well as from the United Arab Emirates and South African Governments and private companies in Australia, Canada, the United States and Jordan. ..... so we will continue to play Dave, exhausting jetpacks .... while somewhere else rich and famous people are queuing up to use the real jet-pack to fly high.